You are here: Home › Barn Owl facts and fun for kids › Owl Facts: Where did Barn Owls live before barns? Barn Owls were around long before the first farmers built barns to keep their animals or crops dry! They lived in rock crevices and hollow trees, and sometimes still do. But about 5,500 years ago, as soon as people began to build haystacks and animal shelters, Barn Owls moved in. Barn Owl bones have been discovered in the iron age village of Glastonbury in Somerset and at a Roman site at Cranborne Chase in Dorset. Barn Owls like to spend a lot of time roosting (resting), and they need somewhere safe, dry and hidden out of sight, to raise young owlets. They don’t build a nest, the eggs are usually laid on top of the owls’ own pellet debris which is soft and absorbent. The nest may be on a wooden ledge or between bales of straw in an old barn. For hundreds of years Barn Owls lived mainly in farm buildings and helped the farmers by eating the mice and rats that lived in the barns. Some old farmhouses have had Barn Owls nesting in the attic for many generations. But over the past 100 years most of the old traditional nest and roost sites have been lost. Old farm buildings have been replaced with new ones or converted into houses with nowhere for Barn Owls to live. Hollow trees have been ‘tidied’ away. Church towers are often netted-off to stop owls and other birds making a mess. Today, Barn Owls often live in specially built nestboxes. Putting up Barn Owl nestboxes is one of the most important and easiest ways to help Barn Owls survive. But not all purpose-made owl nestboxes are ideal. Every year we receive lots of calls from people who have found young nestling Barn Owls on the ground, having fallen from the nest. Sadly, fallen Barn Owlets that cannot get back into the nest often die, if they are not quickly rescued. The Barn Owl Trust has developed a safer deep nestbox design and in Southwest UK, our conservation team has erected well over 1,000 Barn Owl nestboxes! 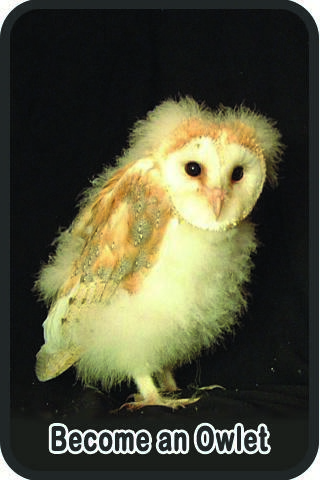 The Barn Owl Trust offers information and advice, and looks after rescued owls who are not able to live in the wild. Find out all about how to make and erect a Barn Owl nestbox or buy one from the Barn Owl Trust.